New Forest Christmas present ideas. Beautiful local crafts and gifts. 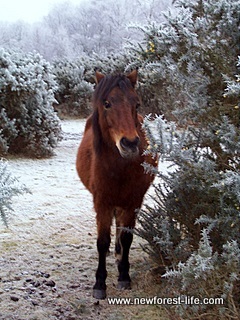 My New Forest Christmas Present Ideas will show you where to buy beautiful, locally produced gifts, for all your family. Like the rest of my website it is based on my own recommendations to you. The gift ideas featured here have all been part of my own Christmas presents to friends and family. 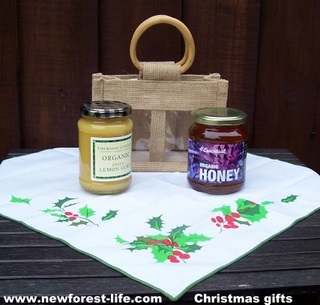 My New Forest Christmas present ideas I suggest will be locally crafted, some will carry the New Forest Marque others may be Fairtrade products but sold in a good cause, at a fair price to all involved. I'm trying to keep well away from the high priced plastic tat you will see in many high streets in the run up to Christmas. I've bought something from a chocolate handbag to soap and pickles from all the producers I've recommended here. A New Forest stable and your own pony too! When I saw my first Grovely Wood stable I could hardly believe my eyes. The beauty and quality of build this toy is amazing. It is hand crafted with love and joy with so many little details to make any child love it forever. It is locally sourced wood in oak or birch and all fittings are brass. I thought the stables were great and then it got even better! 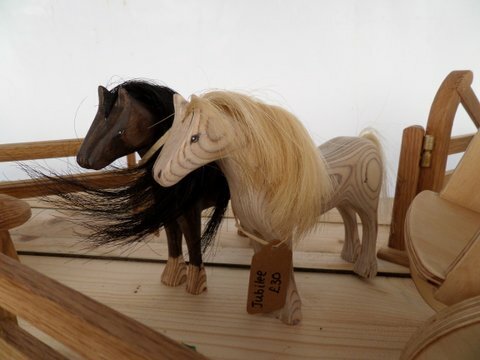 You can actually have a beautiful wooden model crafted of your own horse or pony and add a lock of the mane to remember your equine friend forever. Needless to say I'm going to get a snip off my boys mane and order one as soon as possible. These Keepsake horse or pony are quality, life time gifts that everyone will enjoy forever. 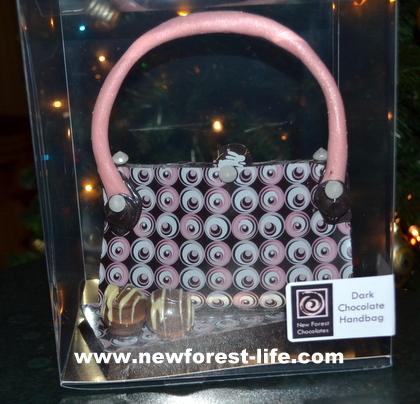 New Forest Chocolate - an ideal present for the lady in your life? This is an ideal way to fulfill one area of a girls Christmas wish list without having to buy an actual designer handbag - no girl can resist chocolate and they get a handbag too! You can even buy a chocolate tea pot - is there someone who you'd love to give this gift to or maybe someone who you think is as much use as a chocolate tea pot! I'm not responsible for the outcome of this purchase. We've got bee keeper friends and I recently gave them some beautiful chocolates finished with gold bee detail - fantastic! Contact Lizzie at New Forest Chocolates and get your order in quickly. 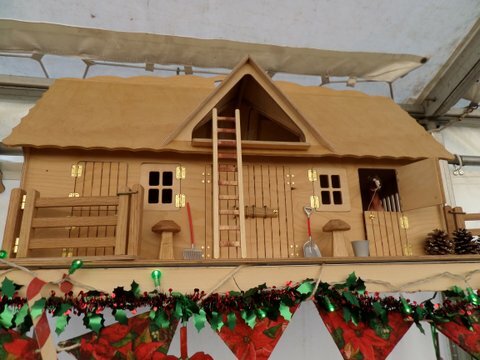 This is artisan work at a very affordable price. We love these jams and chutneys in our household. I've just bought a selection of them, all in lovely little environmentally friendly jute bags for Christmas gifts. Hopefully none of my relatives will read this page before Christmas? 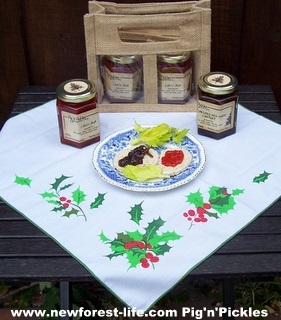 Contact pignpickles for some wonderful homemade chutneys, pickles and preserves to complement your Xmas celebrations. I've been raving about Wood Workouts wonderful, unique gifts. 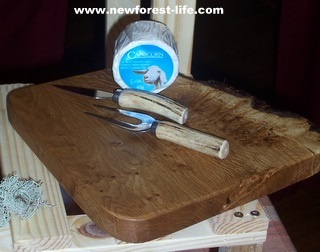 I've bought some beautiful cheeseboards with lovely antler knives and lots more. In the summer we went to a neighbours wedding and I bought a cheeseboard made of New Forest wood - they were thrilled with it and that it came from New Forest wood too. Gill makes small games like Solitaire and more unusual games you may not have encountered before. You can choose a walking stick and have it etched or even a precious military button etc carefully inserted into the top. It doesn't get much more unique than this! Recently we bought this lovely little gift for a friend. Cyril's Soap Shed has handmade goats milk soap all wrapped up beautifully again in these lovely little jute bags. This little New Forest Christmas present idea even has a little wooden soap dish inside - what a lovely gift idea. These sort of presents help sustain the local community, are local and help small New Forest businesses to survive and offer us, the consumer, an individual and unusual gift to give as a Christmas present. The eco friendly jute bag makes it a lovely and planet friendly gift too! The Lantern Community is a wonderful place to visit all year - I've been twice this week for lunch the food is so delicious! Lantern Gift Shop - gifts, wholefoods, Christmas decorations, toys, cards and lots more. Many are produced at the centre or may be Fairtrade. All are very reasonably priced. The Busy Bee Cafe - I love the lunches here! The food is beautifully cooked and usually organic and often from the on site nursery and garden. The Bakery - the bread is freshly baked daily and organic. Not only is it beautiful to look at but it tastes superb too. The Nursery and Garden - organic and bio dynamically grown vegetables and plants all reasonably priced and grown by the community. Whatever you decide to buy as a New Forest Christmas present or treat out I hope you enjoy your visit to the beautiful New Forest National Park and come back and see us again soon.